Jim Jarmusch‘s new film, Only Lovers Left Alive, stars Tilda Swinton and Tom Hiddleston as two vampires whose relationship spans centuries. (Twilight or Vampire Academy, it ain’t.) The film made its US debut at the 2013 New York Film Festival and will see actual release on April 11 in select cities. You can check out the trailer below. The soundtrack to the film is unsurprisingly pretty interesting and is orchestrated by Jarmusch’s frequent musical collaborator, Jozef van Wissem. 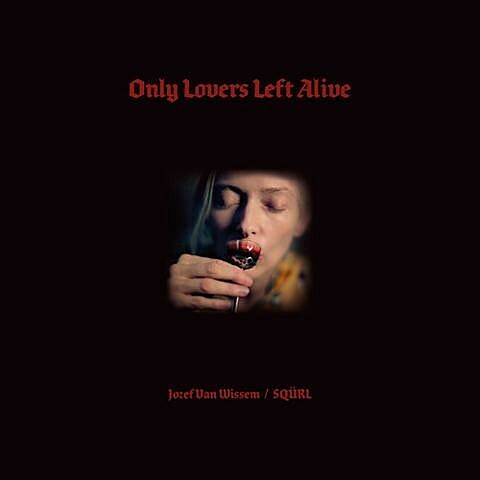 It features collaborations with SQÜRL (Carter Logan, Jim Jarmusch, and Shane Stoneback), Zola Jesus, Lebanese singer/actress Yasmine Hamdan (who is in the film), and Cults singer Madeline Follin, the latter of whom provides vocals on a heavy, trippy cover of Wanda Jackson’s classic “Funnel of Love.” You can stream the whole soundtrack (via Dazed Digital) below.